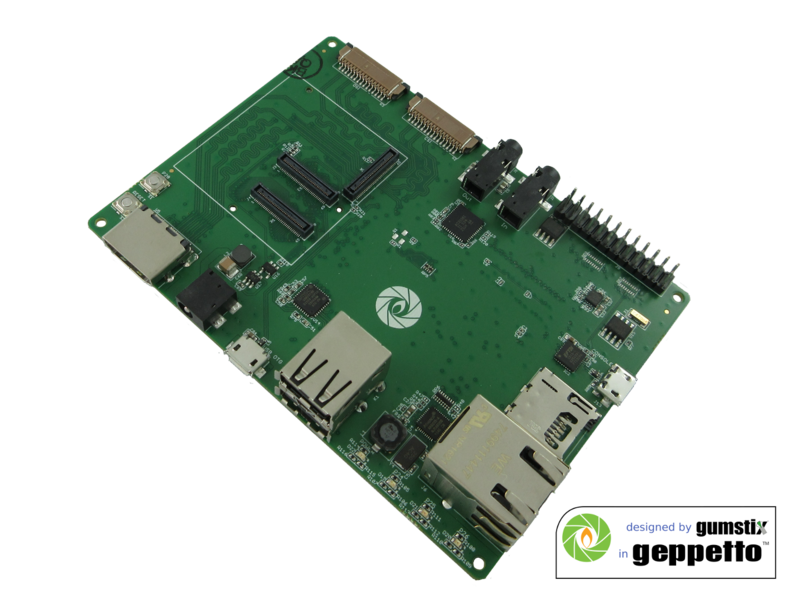 TechNexion PICO launches in Geppetto for Custom Design | Gumstix, Inc. | Gumstix, Inc.
TechNexion partners with Gumstix® to include support for PICO-IMX6 in Geppetto. Utilizing Geppetto® D2O, engineers can rapidly design and manufacture small form-factor boards tailored to the PICO-IMX6 series. 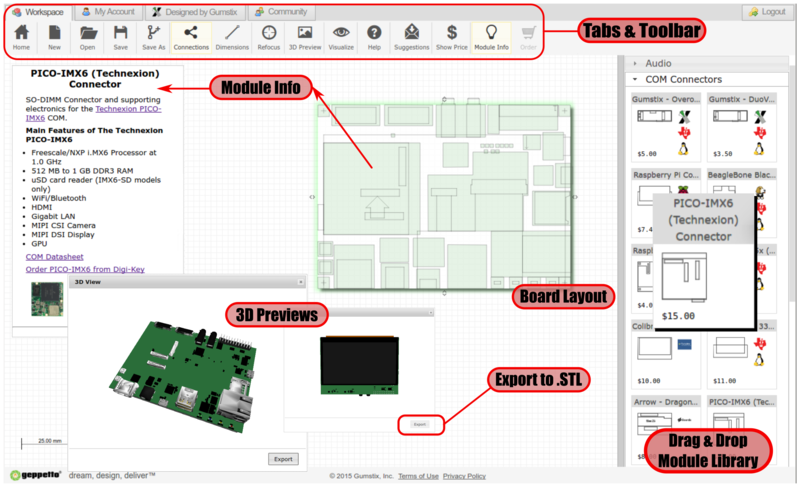 You can now clone the Gumstix® PICO-IMX6 dev board into Geppetto® and drag-and-drop hardware modules on to it to jumpstart your design. Alternatively, you can custom build an expansion board for the PICO-IMX6 from scratch. Click, clone and customize a PICO expansion board in minutes. TheGumstix PICO-IMX6 Development Board hosts HDMI, DSI, and capacitive touch LCD display connectors for video output, dual-USB type-A and USB-OTG connectivity, and Gigabit Ethernet. Moreover, it features a CSI2 camera connector, compatible with Raspberry Pi cameras. Its wide array of multimedia and communication hardware supporting the TechNexion PICO-IMX6 Compute Modules NXP i.MX6 processor’s power is ideal for IoT endpoints, wearable applications, drones, or industrial mobile terminals.